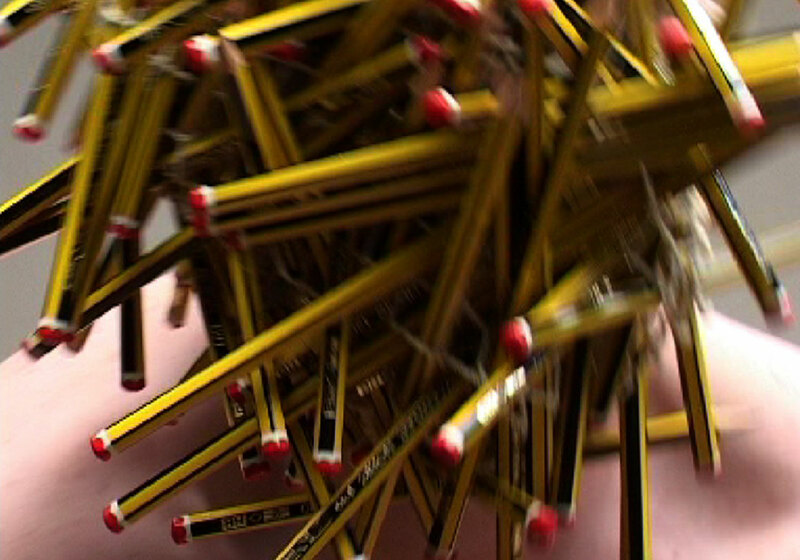 The “pencil test” refers to the old apartheid custom of confirming the ethnic disposition of an individual by inserting a pencil into an individuals’ hair. This is due to the fact that ‘indigenous’ Africans` hair was seen as being particularly curly – what is called “kroeshare” in Afrikaans (“frizzy, wooly, crinkly hair” according to the Tafelberg bilingual dictionary). 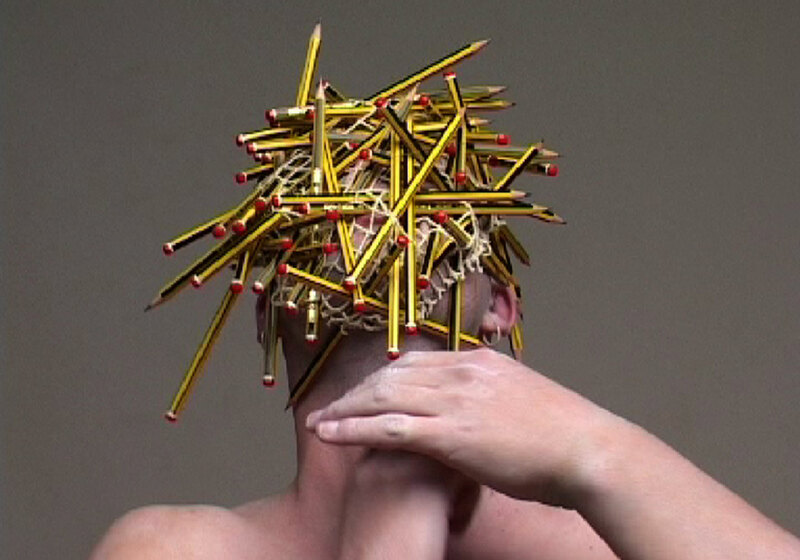 Thus, it was thought, that if the pencil remained stuck in ones hair, you were ‘black’. A pencil is in itself a loaded symbol: in art it is used to make drawings/ pre-sketches; in the education system it is normally given to young children to use when they start writing. Its marks are easily erasable and as a medium it is cheap and widely available. Also, it is rarely used to make ‘final marks’ – it is seen as being transient and for the most part not used as a serious art medium.